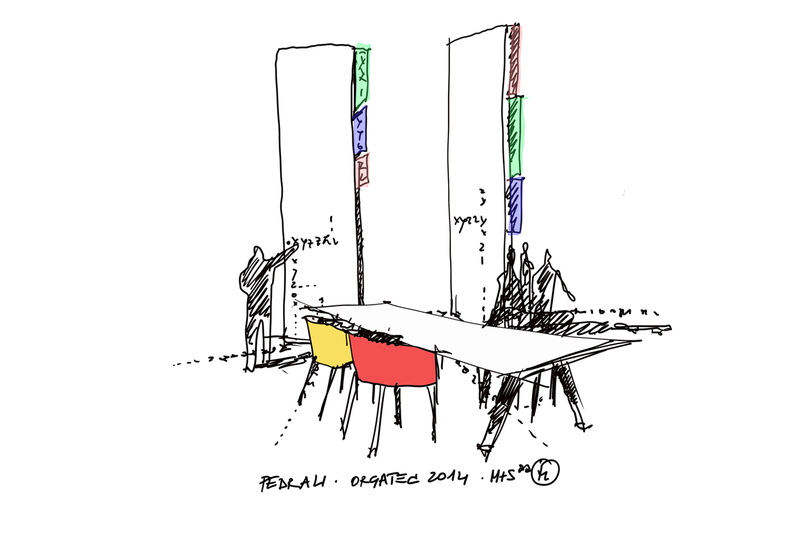 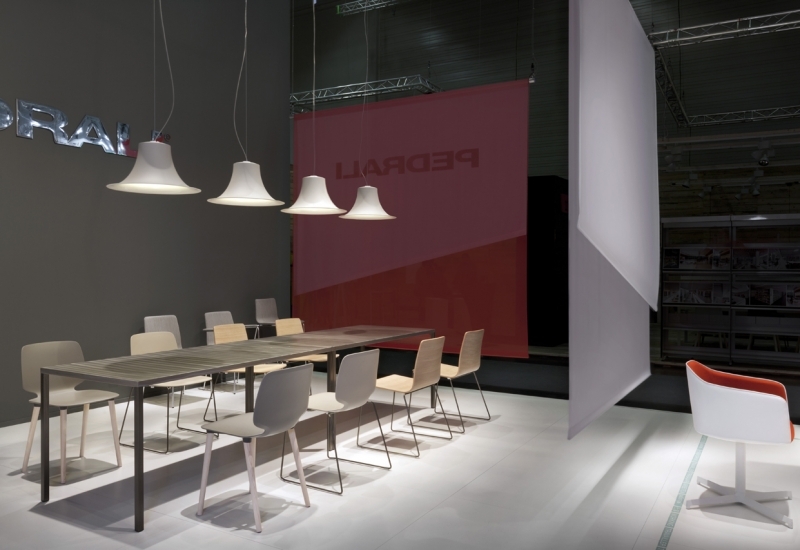 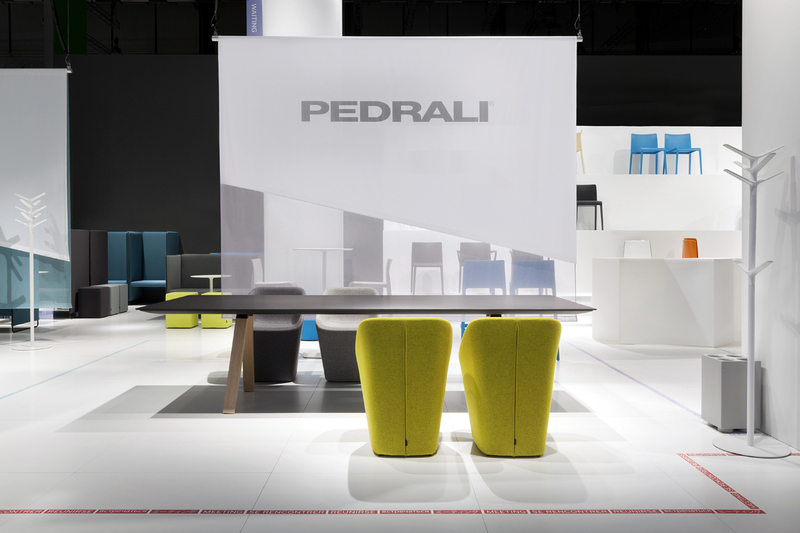 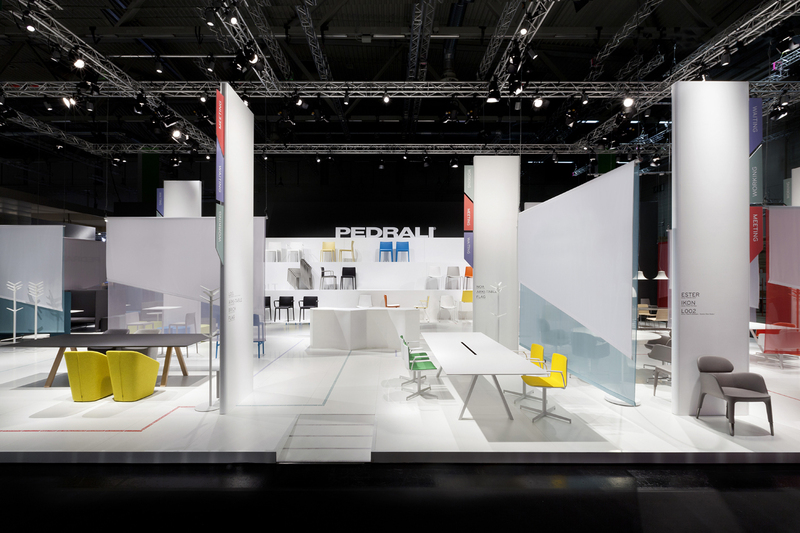 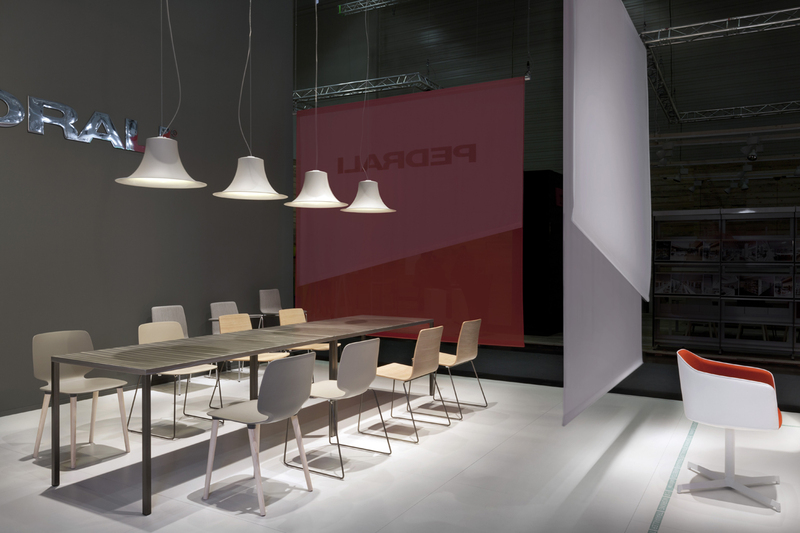 The booth of Pedrali at Orgatec, designed for Pedrali stand at Orgatec, is set up as a sort of catalog on a three-dimensional scale. 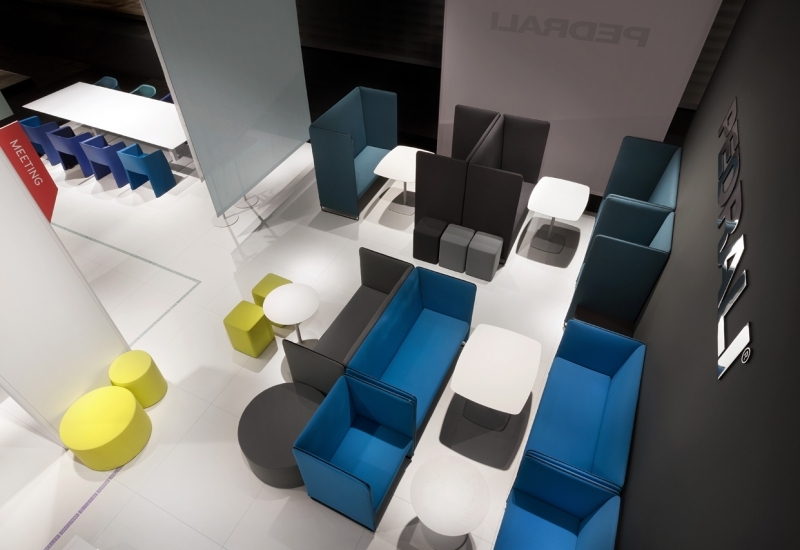 The exploring patterns within product families and settings are definitely free and nevertheless marked and led by the chromatic outline of the flooring as well as by other bookmark elements in the perspectives, which underline different points of the space and provide clues of information and reference. 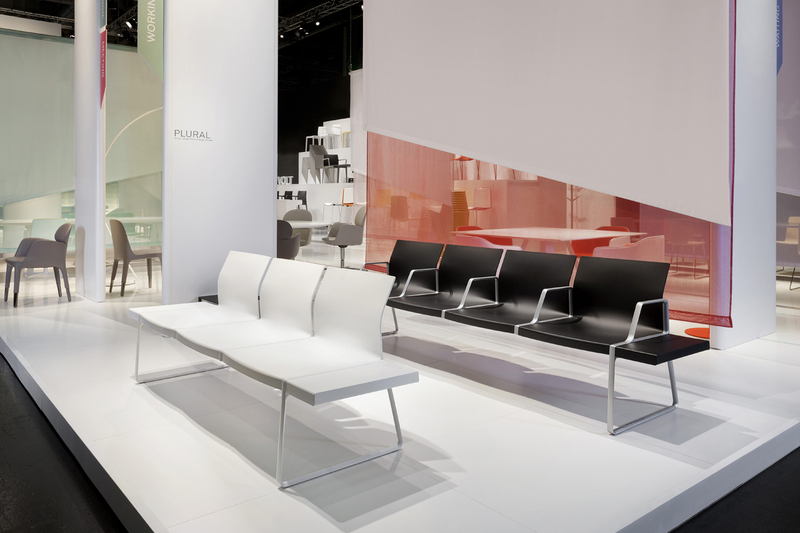 In the center, behind the reception, a stairway for exhibiting the single products progressively rises upwards as if it was a wing surrounding the outfit. 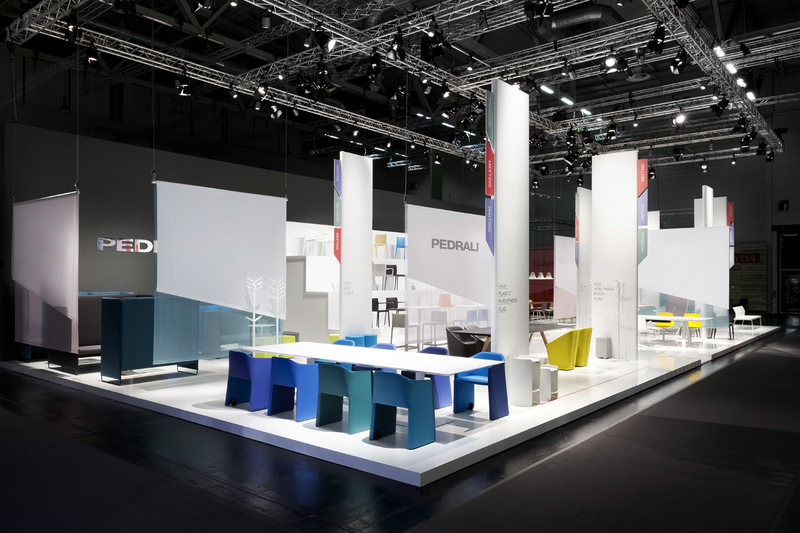 The booth of Pedrali at Orgatec, designed for Pedrali stand at Orgatec, is set up as a sort of catalog on a three-dimensional scale. The exploring patterns within product families and settings are definitely free and nevertheless marked and led by the chromatic outline of the flooring as well as by other bookmark elements in the perspectives, which underline different points of the space and provide clues of information and reference. In the center, behind the reception, a stairway for exhibiting the single products progressively rises upwards as if it was a wing surrounding the outfit.